Have you been injured in a bicycle accident recently? Before you start to file a claim it is important to review some basic information about your legal rights. First, understand that you as a cyclist have the right to use most commercial or residential roads. It is the obligation of all drivers to respect you on the road and obey all traffic laws. If you or a loved one has been seriously hurt in a bicycle crash, you need to know your rights. Consulting a lawyer who has courtroom expereice and bicycling experience is very important. Bike accident cases where you are asking for compensation for your injuries are civil cases. Negligence is the key factor here. If it can be proven that the driver of the car acted negligently and with disregard for the bicyclists then compensation may be rewarded. Compensation may come in the form of medical costs, lost wages and pain and suffering, disability, disfigurement for scars, and the loss of companionship if a loved one dies. If you are ever involved in any serious accident, there are some things to know to make sure that you do not doom the case prematurely. Never settle for any amount of money – large or small – before reviewing the details with an attorney. Proving your case will depend on gathering as much evidence of your injuries (photos, medical records, and a description), gathering evidence of the scene of the accident, and getting contact information from witnesses, as well as the motorist. Do not delay in talking to an attorney. In fact, after you seek medical attention a doctor or an emergency room, it is the very next stop you should make. You may also want to review the condition of your bike and try to determine if by some chance a defective part could have influenced the crash. Even if you do not seem to have any major damage to your body, perhaps just a skinned knee injury or bruises on your knees, it is best to go get a checkup from a doctor. Some injuries do not appear right away and a doctor can help you learn the full extent of your injuries. If you still have problems after seeing your doctor, make sure you be persistent. If you feel your injuries are more serious than the doctor does, make sure he or she knows how you really feel. As a team, you can work together to get you well. And if your doctor won’t help you, find one who will. Your doctor should be your advocate, working for you. After seeing your doctor, you can call on a lawyer. Usually the first contact is by phone and then an in-person interview. When you discuss the details of your case with a lawyer (usually the first consultation is free), he or she can discuss what legal options you have, the success rate of the type of case you are considering, the strategy of the lawyer representing you, and any payment required. Some attorneys require upfront fees, while some will only take the state limited amount from your compensation. It’s never an easy task, pursuing legal action. Litigation requires a tough lawyer who has a record of success. At Dixon Law Office, we have obtained millions of dollars in compensation for our clients. We have represented many victims in bike accidents. 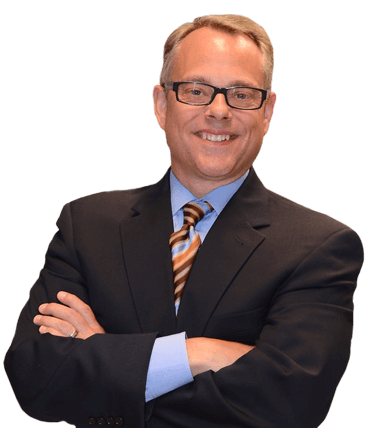 With an experienced Dixon Law Office attorney on your side, you can get the compensation you deserve! Call Dixon Law Office today at 888-354-9880 or click here. They are Attorneys Making It Right.